Orbital Sciences Corporation announced Aug. 13 that Daniel Tani has rejoined the company as vice president of mission and cargo operations in the Advanced Programs Group, based in Dulles, Va.
Tani will support cargo and mission operations activities for Orbital’s Commercial Orbital Transportation Services (COTS) shared research and development program demonstration mission with NASA, as well as the Commercial Resupply Services (CRS) program missions that will provide a U.S.-developed capability to supply the International Space Station (ISS) with vital consumables, scientific instruments and other life-sustaining supplies. He will also support independent reviews of selected high-value Orbital programs. Prior to rejoining Orbital, Tani had a distinguished career as a NASA astronaut. 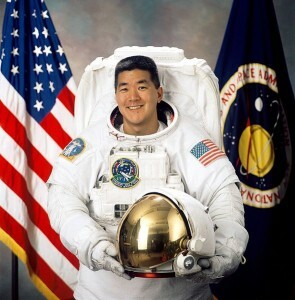 He was selected as an astronaut candidate in 1996 and gained extensive spaceflight experience. He flew as a crew member aboard the space shuttle Endeavor, and also served as an ISS crew member in a separate mission, logging a total of 131 days in space. Tani served as the flight engineer on STS-108 in 2001, supporting an ISS crew exchange and the delivery of the Multipurpose Logistics Module, which carried over three tons of supplies, logistics and science experiments. He also completed a spacewalk on that flight to support maintenance of the ISS electrical power system. On his second spaceflight, Tani served as Expedition-16 flight engineer and spent 120 days living and working aboard the ISS. During his tour of duty aboard the station, he performed numerous robotic operations in support of the installation and checkout of the newly delivered Node-2. During his two flights, Tani logged a total of 34 hours and 59 minutes in five spacewalks. Prior to joining the NASA astronaut office, Tami was an engineer at Orbital, serving initially as a senior structures engineer, and then as the mission operations manager for the Transfer Orbit Stage (TOS) in-orbit propulsion system. In that role, he served as the TOS flight operations lead, working with NASA-Johnson Space Center mission control in support of the deployment of the Advanced Communication Technology Satellite (ACTS)/TOS payload during the STS-51 mission in September 1993. He then moved to Orbital’s Pegasus rocket program as the launch operations manager. In that capacity, he served as lead for development of procedures and constraints for the unmanned, air-launched Pegasus rocket. Tani received bachelor’s and master’s degrees in mechanical engineering from Massachusetts Institute of Technology in 1984 and 1988, respectively.